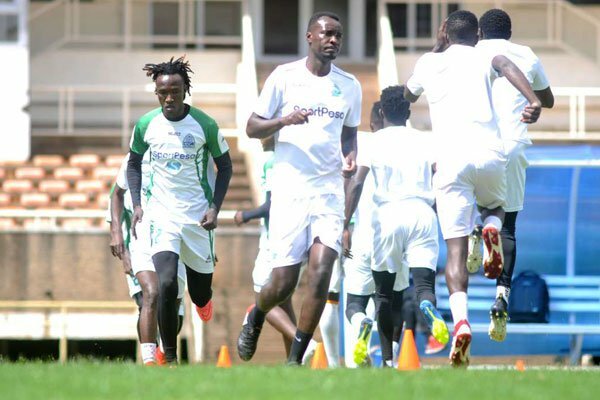 Gor Mahia coach Hassan Oktay is confident that the club will overcome its poor start to the 2018-2019 season. Speaking about the loss to Kariobangi Sharks, Oktay thinks his side were the better side. Indeed the Gor Mahia attack has often been blunt of late. Many of the players are not used to playing with each other including Mustafa, Guikan, Tuyisenge, Boniface Omondi, Kipkirui, Sekisambu and now Oliech. The new coach has a tall order to find a combination that works. Oktay however says he is not worried because his side played good football. “We had the chances but we never used them I don’t think we are playing bad football; we just need to take our chances that is all. I know the team will come good and even stronger. I am not worried at all because of the performance. We have been playing so many games and sometimes it is affecting the players. ” he continued. Oktay also said his team was tired after traveling to West Africa. However Sharks also traveled to West Africa for their CAF Confederations cup match. Speaking about Dennis Oliech, Oktay confirmed that he is indeed interested in working with the Kenya football legend. Gor Mahia appear not to be interested in renewing the contract of Innocent Wafula which is expiring on January 4. This according to team manager Jolawi Obondo. There have been reports suggesting that Wafula contacted club officials seeking money to travel from Busia to Nairobi but the club was not interested. Wafula has been a key player in the last 3 years and is often the best option at right back. GORMAHIA.NET would like to wish all bloggers and all members of Gor Mahia online supporters club, a happy new year and a prosperous 2019. May you continue to support the club in 2019. Lets make 2019 the year that fans return to the stadium. And together let us push the club towards much needed reforms to modernize the club. Thank you to all the 2018 bloggers. Apologies in advance to anyone whose name is missing. The 2018 season will be remembered as the year when Gor Mahia wrapped up the league title with more than 10 matches to go. The club played well in continental and regional events only to stagger at crucial stages. Nevertheless, Kogalo can walk away proud. Aside from winning the league by 13 points, they also won the Sportpesa Super cup, beating Simba of Dar es Salaam 2-0 in the final. And also won the domestic super cup, beating AFC Leopards. Also joining was Humphrey Mieno whom Kogalo had tried to sign in the previous year from Tusker as well as Kevin Omondi who had starred for Kogalo previously. 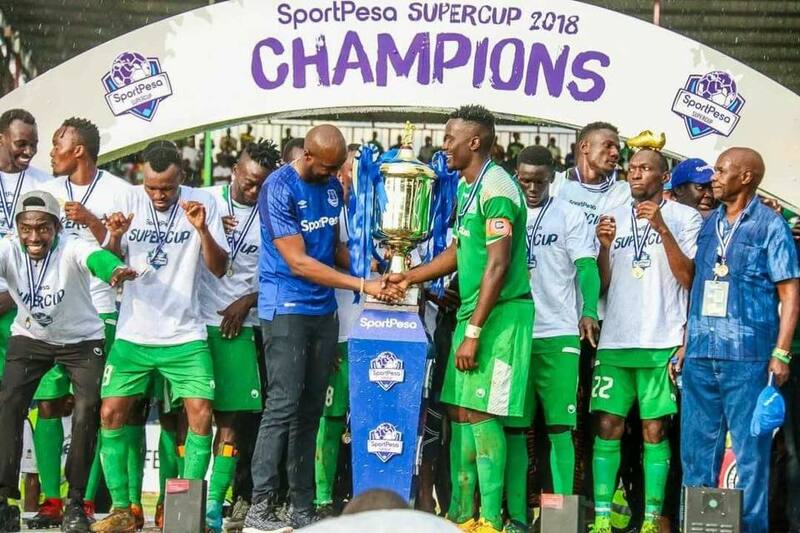 Gor Mahia were eligible to play in the Super cup, having won the league in 2017. They faced off against arch-rivals AFC Leopards who had won the FKF cup in 2017. The match was played at Afraha stadium with no stadium being available in Nairobi. Gor Mahia won 1-0 with Harun Shakava scoring the all important goal in the 40th minute. Gor Mahia were pitted against Leones Vegeterianos of Equatorial Guinea in the prelimianry round. The first leg was played in Machakos since no international calibre stadium in Nairobi was available. All three were under construction. Gor Mahia went on to win the first leg 2-0. Kevin Omondi scored the first goal. Ephrem Guikan scored the second with his very first touch of the ball after coming on as a substitute. Humphrey Mieno missed a penalty that could have made it 3-0. In the return leg, the Equatoguineans took the lead in the 55th minute and pressed for another goal to force penalties. Gor Mahia fought back and scored when a Leones defender deflected a Francis Kahata corner into his own net. Gor Mahia scored again in injury time but the goal was disallowed. The game ended 1-1 and Gor Mahia qualified for the next round. 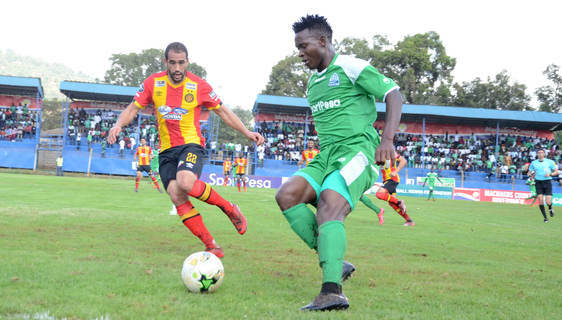 In the first round, Gor Mahia were pitted against Esperance, a team that four years earlier had outclassed them and eliminated them by a aggregate score of 8-2. In the first leg at Machakos stadium, Gor Mahia acquitted themselves well, dominating possession especially in the first half. The second half was more balanced. The game ended 0-0. In the second leg in Tunis, Gor Mahia acquited themselves really well, defending solidly and recording several shots on goal. It took a defensive blunder to gift Esperance a 1-0 win. Esperance fans, unhappy with Gor Mahia’s solid performance, threw foreign objects at Gor Mahia players after the match. Esperance went on to win the 2018 champions league. Therefore narrowly losing to the eventual champions showed Gor Mahia’s mettle. 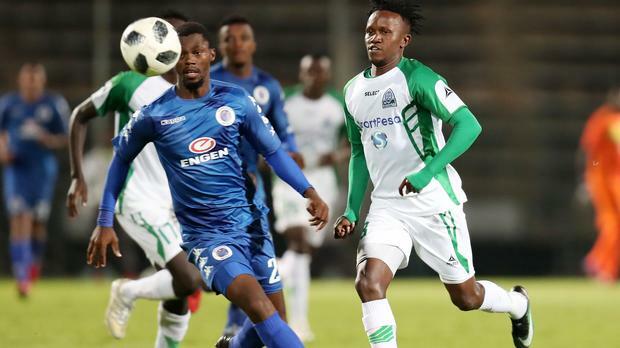 Having been eliminated from the Champions League, Gor Mahia faced off against Supersport of South Africa for a chance to go to the group stage of the CAF Confederations cup. The first leg was played at Machakos. Gor Mahia won 1-0 thanks to a penalty slotted home by Jacque Tuyisenge. The penalty occured after a Meddie Kagere header was handled by a Supersport defender. The second leg almost proved to be a quagmire. 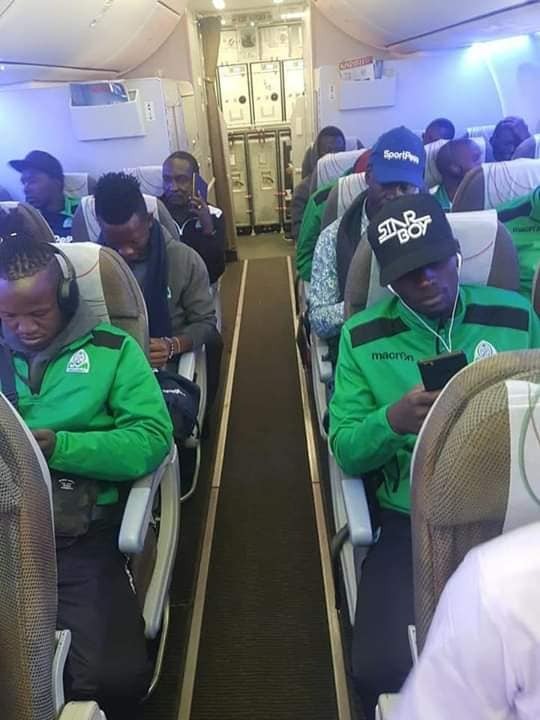 Only days before the match was to be played, Gor Mahia announced that they did not have the wherewithal to secure airline tickets. Worse still they had not secured travel visas It took the financial intervention of Nairobi mayor Mbuvi “Sonko” to secure tickets and the intervention of Foreign affairs cabinet secretary Ababu Namwamba to secure visas. However two key players Jacque Tuyisenge and Ephrem Guikan did not get their visas and were unable to travel to South Africa. The return leg in Pretoria was played to an almost empty stadium. The South African side went ahead in the 58th minute from a Haron Shakava own goal. Francis Kahata equalized less than a minute later, converting a cross from George Odhiambo. Supersport would score again in the 68th minute. Gor Mahia had to hang on grimly for the last 22 minutes plus added time. The 1-2 loss enabled Gor Mahia to qualify for the group stage on away goals rule. The match against Hull City was played to a capacity crowd, the likes of which had not been seen in Kenya for decades. Gor Mahia played well but could not score. The game ended 0-0 and went straight to penalties. It looked like Gor Mahia were going to win the penalty shootout when goalkeeper Boniface Oluoch saved two penalties. Gor Mahia started their group stage campaign on a positive note. They forced a 1-1 draw away to Rayon Sports. Meddie Kagere scored the opener before the Rwandese side equalized from a free-kick. 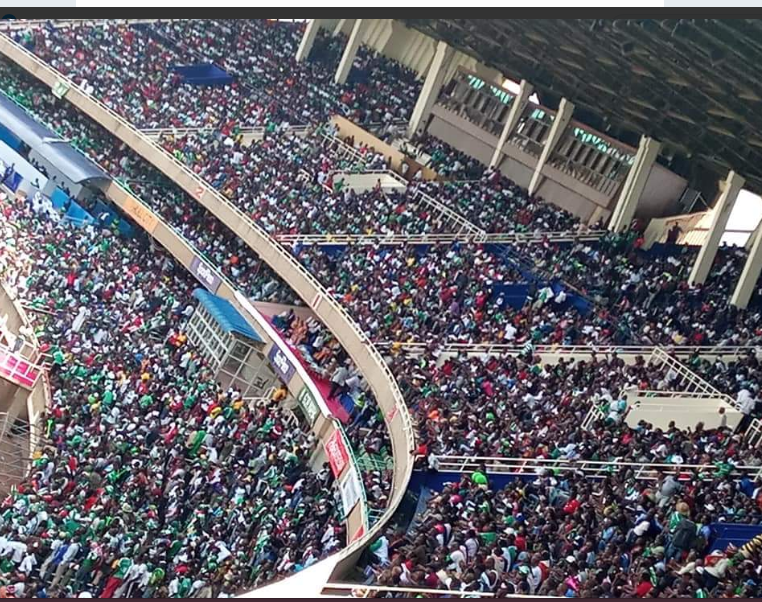 A large crowd of Gor Mahia fans traveled all the way to Rwanda. Gor Mahia were the better side but were unable to make their dominance pay. Nevertheless the away draw boded well for Gor Mahia’s chanced of advancing to the next stage. In the second match, Gor Mahia held USM Alger of Algeria 0-0 at the newly refurbished Kasarani sports centre. Gor Mahia had to play most of the second half with 10 men after Joash Onyango was sent off in the 55th minute. In the third Match, Gor mahia recorded their first win, beating Yanga of Tanzania 4-0. Ephrem Guikan scored twice. The other goals came from Tuyisenge and an own goal. 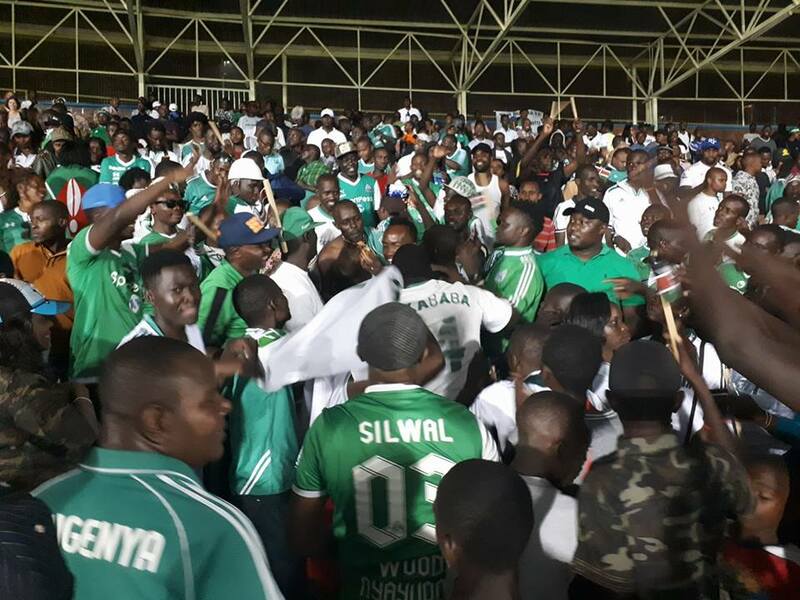 When Gor Mahia beat Yanga 3-2 in the 4th match in Dar es Salaam, it seemed Gor Mahia were on their way to the quarter-finals. The goals came from Tuyisenge, Blackberry and Shakava. The month of August was a nighmare scenario. They were required to play 10 matches in 29 days. This after having already played in the CECAFA club cup and the Sportpesa shield. In addition, the club lost key players Godfrey Walusimbi and Meddie Kagere to foreign sides. The two factors took a toll on Gor Mahia as they went down 1-2 to Rayon Sports of Rwanda at Kasarani. Francis Mustafa scored Gor Mahia’s goal. Gor Mahia needed at least a draw against USM Alger in their last match. 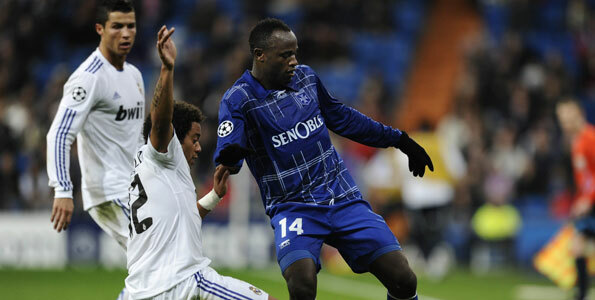 But they could not overcome the fatigue, finding themselves 2-0 down before Jacque Tuyisenge scored a late consolation. The match ended 2-1 and Gor Mahia narrowly missed out on the quarter-finals. The first match of the 2018 Premier League was a clear indicator of the extent to which Gor Mahia would dominate the league in 2018. In the league opener, Gor Mahia destroyed Nakumatt 4-0. Meddie Kagere too showed his intentions, scoring a hat-trick with Wellington Ochieng sealing the score. Gor Mahia would have won the league unbeaten but the marathon August schedule where they played 10 matches in 29 days after having already played in the CECAFA cup and the Sportpesa Super cup, put paid to those aspirations. By August Gor Mahia had opened up such a wide lead that it was not a matter of if but when they would win the league. 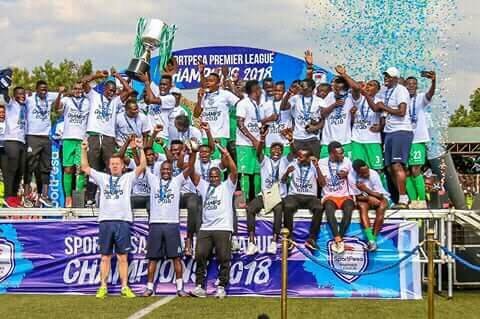 Despite playing 10 matches in 29 days, Gor Mahia clinched the league in grand style, beating Sofapaka 3-0 then beating arch rivals AFC leopards 2-0 within a few days. Boniface Omondi and Bernard Ondiek scored the goals. In the end Gor Mahia garnered 75 points, which is 13 points ahead of the second team (Bandari). They would have garnered more points but they took their foot off the accelerator pedal after clinching the league and went on to lose four matches. Gor Mahia also scored an impressive 71 goals, which was a massive 23 goals higher than the second best team in that regard. The 2018 Sportpesa Supercup was used to determine who would play Everton at Goodison Park. It featured Four teams from Kenya(Gor Mahia, AFC Leopards, Kakamega Homeboyz, Kariobangi Sharks) and four teams from Tanzania (Yanga, Simba, Jeshi La Kujenga Uchumi and Singida United). Gor Mahia started solidly, beating Jeshi 3-0 with goals from George Odhiambo, Godfrey Walusimbi and Meddie Kagere. They then beat Singida United 2-0 thanks to a brace from Meddie Kagere. In the final, Gor Mahia blanked Simba of Dar es Salaam 2-0 with goals from Kagere and Tuyisenge. All in all , a solid performance from Kogalo in which they scored 7 goals and conceded none. The Sportpesa Shield was the 2018 edition of Kenya’s domestic cup to determine who would represent Kenya in the 2018-2019 CAF Confederations cup. Gor Mahia started off against SS Asad whom they dismissed 5-1 with goals from Lawrence Juma(2), Innocent Wafula, Jacque Tuyisenge and Eliud Lokuwam. In the round of 32 match, Gor Mahia trounced Kenpoly 5-0. Ivorian Ephrem Guikan notched a hat-trick. Lawrence Juma added another and Kenpoly scored an own goal. In the round of 16, Gor Mahia faced their first top tier opposition: Posta Rangers. They went on to win 3-1 with a brace from Kevin Omondi and another by Samuel Onyango. Gor Mahia played against Kariobangi Sharks in the quarter-finals. 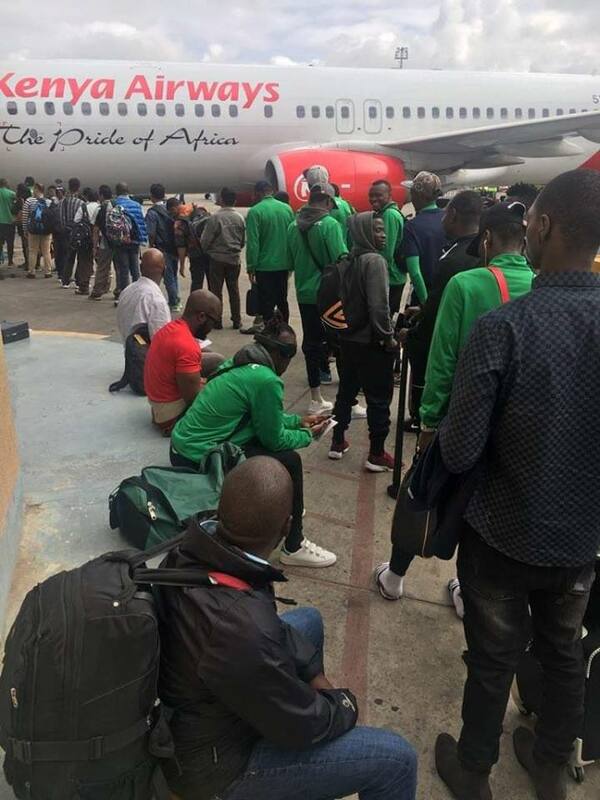 The match was played soon after Gor Mahia had returned from Algeria where they played USM Alger. Kariobangi won 4-2 on penalties. Coach Dylan Kerr suggested that FKF Chair Nick Mwendwa, who also owns Kariobangi Sharks, deliberately scheduled the match to coincide with Gor Mahia’s return from Algeria to take advantage of Gor Mahia’s travel fatigue. “Congratulations to Sharks they were the better side today I can, however bad we played be so proud how they gave everything even though it wasn’t the best today. Thank you to the K’Ogalo family who supported us today pole that we lost. FKF president new what he was doing” said Kerr in a tweet. 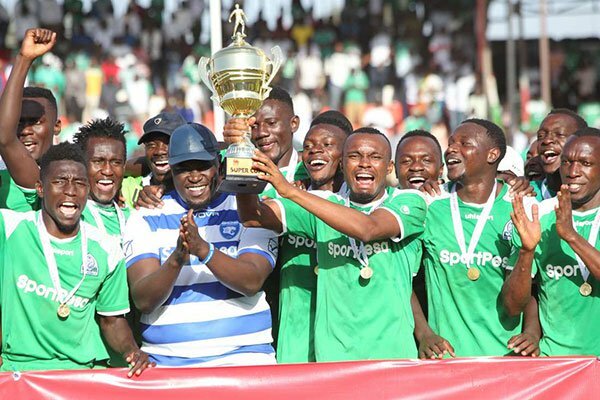 Gor Mahia added the 2018 CECAFA club cup to their busy schedule. Many fans felt that the club should skip it given that they were playing an inordinately large number of matches. Gor Mahia had to play without leading scorer Meddie Kagere who departed to Tanzania to play for Simba. They started off with a 2-2 draw against Rayon Sports. It was dissapointing as Gor Mahia were leading 2-0 at halftime with goals from Mieno and Tuyisenge. In the second match, Gor Mahia twice came from behind to hold LLB Aacademic of Burundi 2-2. Philemon Otieno scored first then Jacque Tuyisenge scored an injury time goal to grab a point. In the third group match, Gor Mahia dismissed AS Port of Djibouti 2-0 with goals from Charles Momanyi and Ephrem Guikan. Gor Mahia’s best match of the tournament came in the quarter-finals. here they came from behind to beat Ugandan champions, Vipers 2-1. Francis Mustafa score his first ever goal for Gor Mahia when he scored from a rebound. Jacque Tuyisenge scored the winner. In the semis, Gor Mahia lost to Tanzanian moneybags Azam by a score of 2-0. It was the same side that beat Gor Mahia in the 2015 final. Coach Dylan Kerr cited fatigue as the reason for the loss. 2018 will also be remembered as yet another year when late payments of player salaries were commonplace within the club. Players went on strike and engaged in go-slows on numerous occassions to protest non-payment of their dues. In March for example, it was reported that Gor Mahia players had not been paid for two months. Matters came to a head again in September when fans came to the rescue of skipper Harun Shakava who was about to be evicted by his landlord due to non-payment of rent. He and other players had not been payed for months. It was another first for Gor Mahia as they became the first team from the CECAFA region to play an English Premiership side in the UK. Unlike the first encounter against Everton, this time Gor Mahia was fielding a much weaker side having lost several key players. They were also playing an Everton side that was sharp as they were already in mid season, whereas this was the off season for Gor Mahia. 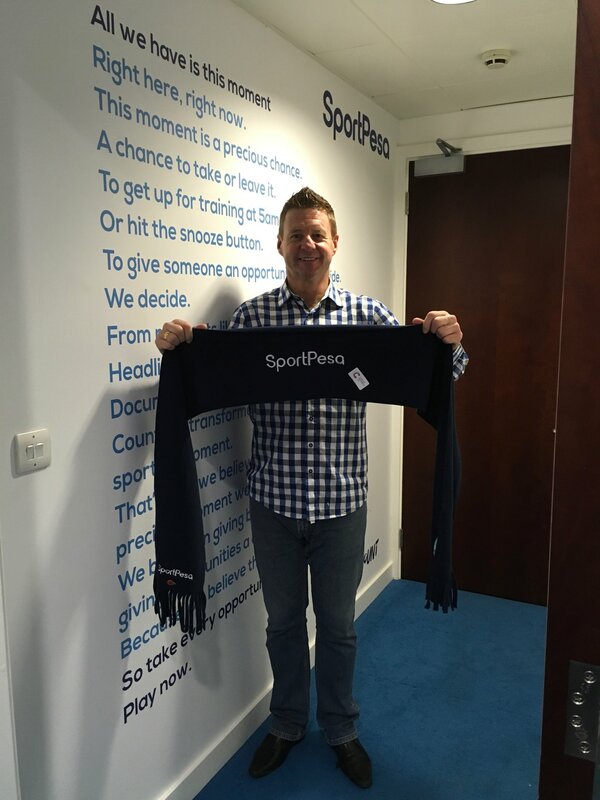 Following the loss to Everton, Gor Mahia fans were stunned further when popular head coach Dylan Kerr announced that he was leaving. Kerr had no contract at Gor Mahia. Fans were hit hard as Kerr was very popular and had steered the club to two league title and numerous important wins. Gor Mahia lost to Kariobangi Shark yet again in what is building towards a disastrous season. It is their second loss of the season after losing the season opener to Bandari. Kariobangi Sharks picked up their maiden win over Gor Mahia in the league hence making it three consecutive wins against them after 1-0 victory over reigning Kenyan Premier League (KPL) champions Gor Mahia in a match staged at the MISC Kasarani on Saturday 29th December. 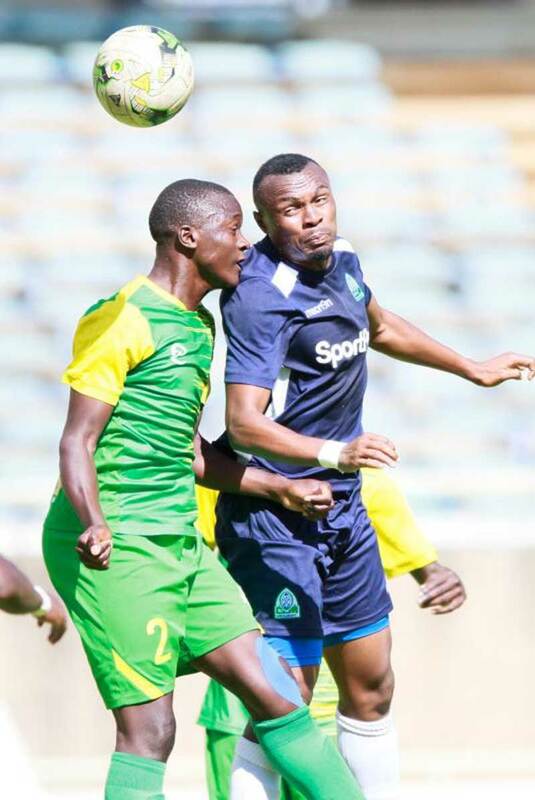 After their disappointment at the continental stage where they were bundled out of the CAF Champions League by Nigerian outfit Lobi Stars, Gor Mahia were off the blocks and got the first chance of the game in the sixth minute when Jacques Tuyisenge freed himself from the Sharks defense but his attempt to set up George Blackberry Odhiambo was stifled by Geoffrey Shiveka. 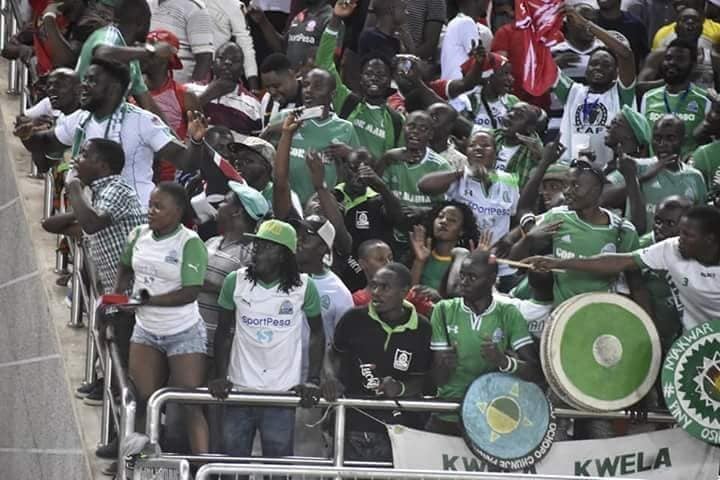 Despite the brilliant start by Gor Mahia, it was Kariobangi Shark who broke the deadlock in the 17th minute when Patilah Omotto pinged in a long long pass from his own half that found Duke Abuya to connect with a first-time effort to lob the onrushing Boniface Olouch. Sharks were lucky not concede in the 38th minute when George Odhiambo’s cross found Ephrem Guikan inside the box but his header was cleared off the line by a last-ditch effort from Nixon Omondi. William Muluya’s charges squandered a golden opportunity to head into the break with a 2-0 advantage in the 44th minute when Omotto again found Mwendwa but the former Mathare United winger decided to track back his run but the danger was averted by Ernest Wendo. Hassan Oktay had some strong words for his charges at halftime as they prolonged their break by a minute, K’Ogalo immediately were on to the thick of things as Blackberry delivered a free kick that was met by the head of Humphrey Mieno but the 2017 golden glove winner Oyemba was on hand to palm his effort away for a corner. The game was an end to end affair as Sharks who were looking for the second goal butbwere denied by the quick reflexes of Boniface Olouch when Harrison Mwendwa released Abege through on goal only for his shot to be saved by Olouch. Gor Mahia were throwing everything at the Sharks defense and tested the resolute department once again at the stroke of the hour mark when Mieno who is rumored to be on the radar of Ethiopian giants St. George let loose of a thunderbolt from outside the 18-yard area but Oyemba was equal to shot to tip it over for a corner. Substitute Mustapha was unfortunate to go out in the 83rd minute after a collision by Geoffrey Shiveka and on came Ugandan import Erisa Ssekisambu. William Muluya threw in John Kuol for the match winner Duke Abuya as he aimed to bank the three points in the final 10 minutes of the game. 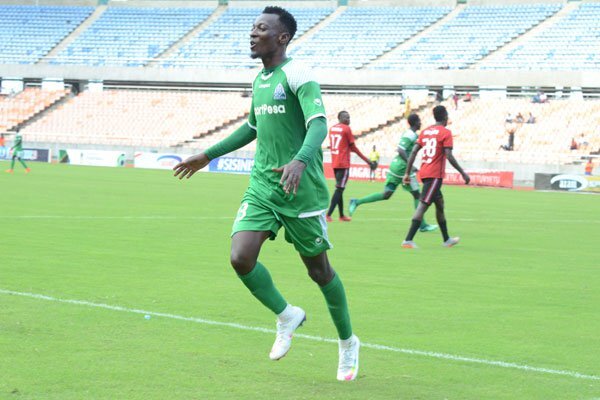 The substitution worked as Sharks held on for their second win of the season as Gor Mahia dropped three points for the second time this season. Sharks Starting XI: John Oyemba, Michael Bodo, Geoffrey Shiveka, Tom Teka, Nixon Omondi, Patilah Omotto, Duke Abuya (John Koul ), Harrison Mwendwa, Vincent Wasambo (Shapan Oyugi), George Abege, Sydney Lokale ( Sven Yidah). Gor Mahia have a chance put aside the disappointment of not making the champions league group face. They will play New Star Douala of Cameroon in the playoffs to determine who will qualify for the group stage of the 2018-2019 CAF Confederations cup. The Cameroonian side eliminated Vital O of Burundi 4-1 on aggregate in the preliminary round. In the first round they eliminated Al Ahli Tripoli of Libya on away goals (1-1 and 0-0). They are currently fourth in the Cameroonian league with 49 points which is a good 20 points behind league leaders Cotonsport. Gor Mahia will host the first leg which will be played during the weekend of January 11. The return leg will be a week later. 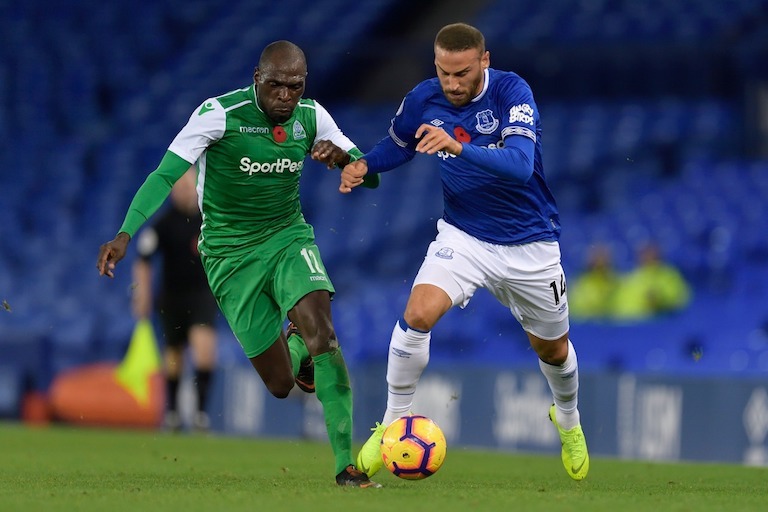 Harambee Stars legend Dennis Oliech is only a signature away from officially joining record Kenyan Premier League champions Gor Mahia and the forward says in becoming K’Ogalo’s new acquisition, he will be fulfilling his late mother’s wish. Oliech trained for the first time with Gor on Friday morning putting to rest speculation on whether or not the striker would be joining the side and he says it is only a matter of finalizing the paperwork and he will be officially don the green and white. “My mother always wanted me to play for Gor Mahia and she told me before I retire officially from football, I have to play for this club. My father as well wished for me to play for Gor and since it was their dream and wish, I have to fulfil it,” Oliech revealed in an exclusive interview with Capital Sport. Oliech was extremely close with his late mother Mary Auma who passed on in July after a battle bravely borne with cancer and the 33-year old says it gives him extreme pleasure to be fulfilling her biggest wish and joining the 17-time champions. “It is my first day today so I have to take some time and get to know the players and the coaches as well. For me, it is a step at a time and within a week, I know I will have picked momentum and be at a good place,” the striker said. The forward further states that what further prompted him to sign for Gor and not any other club is that their playing style suited him and he knows he is at a place where he can score as many goals as he targets. “You can be in a club as a good striker but without a good midfield, you can’t achieve much. For me at Gor, this is not an issue,” Oliech stated. Harambee Stars legend Dennis Oliech after his first training session with Gor Mahia at the Camp Toyoyo Ground on December 28, 2018. Oliech who at some point this year trained with South African top tier side Free State Stars with a view to sign has been out of club football for the last two years, his last professional football club being Dubai Sports Club where he left early 2016. The former FC Nantes, Auxerre and Ajaccio forward believes he is not way far from fitness and will be back to his best in a matter of time. “I have been working on my fitness, playing tournaments back in the hood and I have also been doing gym work. For me, it is just a matter of time, probably three or four days and I will be clicking in the right direction,” he added. His imminent arrival has sprouted excitement amongst not only the players but head coach Hassan Oktay who sees him as a brilliant addition to the side as they seek to achieve bigger things in the new season. “I am looking forward to have him in the team and I have looked at him in training today and talked to him as well and I know he will be a huge plus for us. It is also good for the young players to have a player like him in the team because there is so much they can learn from Dennis,” The Cypriot coach said. Kajole as his peers from his Dagoretti hood know him as has already stated his targets for the new season and has pegged an ambitious target of netting at least 25 goals this season, a tally that would be a record in the new era of the KPL. “I want to score 30 goals this season; at worse, maybe 25. I know I can do it. Currently my focus is on Gor Mahia and helping the club go as far as possible in the Confederations Cup as well as defending the KPL title,” noted the forward. As much as there is excitement with his return to playing top flight football, he knows there will be pressure on his shoulders to deliver and he says this will be a motivation for him to work harder and achieve bigger targets with the club. “For me, this is some big pressure because people will expect me to score every time. I have to work hard because if I don’t score, people will start saying I would rather have just stayed retired instead of coming back to play,” he noted. The Saturday tie against Kariobangi Sharks might be too early for Oliech to come on board, but he might be in line for his debut next Wednesday when Gor host Chemelil Sugar in Machakos. Gor Mahia CEO Omondi Aduda is dismissing reports that Humphrey Mieno is headed to Ethiopia. Gor Mahia CEO Omondi Aduda has rubished claims that the match against Lobi Stars was fixed. The rumour that the match was fixed is being spread online on social media most prominently by blogger Robert Alai. Sportpesa fixed the Gor Mahia match with players. Bribed players. That’s what gambling does to sports. Many fans believe Alai and are now blaming certain players. Aduda laid blame on the poor treatment the team received in Nigeria as well as bias from match officials. Though he did not elaborate on how exactly they were mistreated. “I was with the team in Nigeria and nothing like that happened. We lost because the match day officials were biased and also the team was mistreated from the time we touched down in Abuja. We must forget about such silly talks and move on to the next assignment,” he continued. Aduda challenged those making match fixing claims to table their evidence. “I also challenge those making such claims to name the officials or players that they think were involved to fix the match. Don’t just shout out there that the match was fixed without giving tangible evidence. Make the list official so that we can investigate and prove your claims.” he concluded. 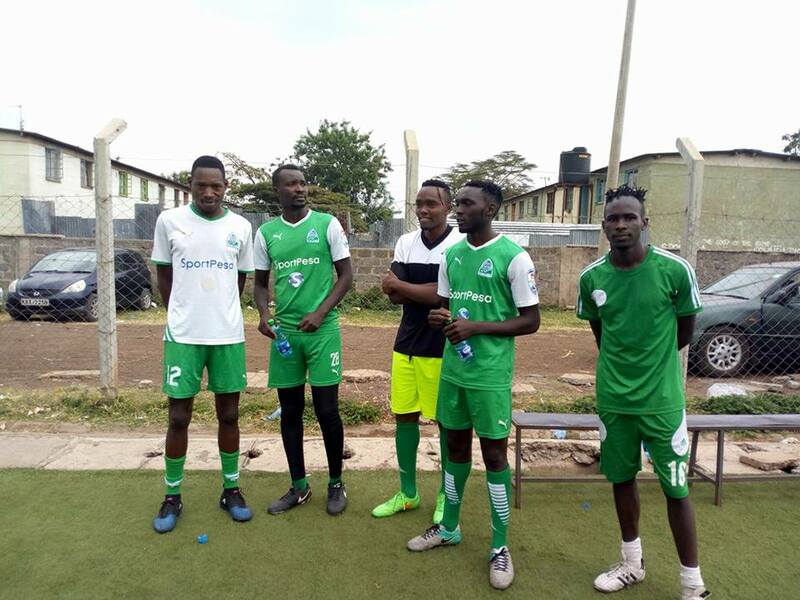 Gor Mahia organizing secretary Judith Nyangi posted a message on her social media pages that suggests that players were demoralized due to unfulfilled promises. One player supposedly told Nyangi that they were promised a cut of the Ksh 27 million from last year but did not get any. They were therefore not expecting any of the Ksh 54 million that would have been available had they reached the champions league group stage. Gor Mahia went down 2-0 to Lobi Stars in Enugu on Saturday. Two goals in the last 20 minutes did the damage. As such Gor Mahia have bowed out on away goals rule. Kenyan giants Gor Mahia on Saturday crashed out Caf Champions League after going down 2-0 against Nigeria’s Lobi Stars in Enugu, Nigeria. Gor Mahia won the first leg of this first round tie 3-1 in Nairobi a week ago but could not defend their two-goal margin, eventually crashing out on away goals rule after the teams tied 3-3 on aggregate. Nigerians benefitted from the valuable goal they scored at Kasarani Stadium, as they locked out Gor Mahia from getting on the scoreboard. The Nigerians will now progress to the lucrative group stage of the competition courtesy of the away goals rules. This feat is accompanied by a Sh56 million prize money from the tournament organiser. It is not all lost for the Kenyan team as far as their continental participation is concerned this season however, as coach Hassan Oktay’s charges have now been relegated to the second tier Caf Confederation Cup play-offs ahead of the December 28th draw by Caf. Striker Sikuru Alimi was Gor’s tormentor in chief on Saturday at the Nnamdi Azikiwe Stadium in Enugu State. He scored twice in the 72nd and 78th minutes, to condemn the visitors to a lonely 12-hour journey back home which begins Sunday morning. “It turned out to be a very tough game for us. We almost made it happen (win the match) but then had to suffer through some decision making. We could have scored atleast one goal but it wasn’t to be,” said midfielder Humphrey Mieno. Oktay started the match with dependable forwards Jacques Tuyisenge, Francis Mustafa and Samuel Onyango – scorer of two goals in the reverse fixture – but the trio were subdued by a mean looking Lobi Stars defence, registering one shot on target throughout the opening half. 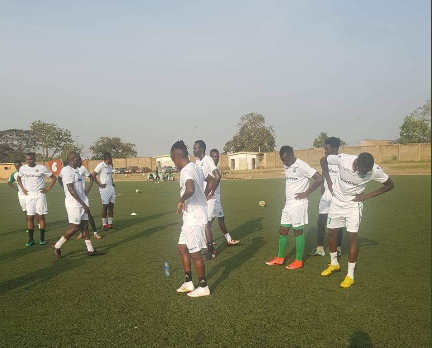 Gor Mahia completed a two-day training camp in Ghana in readiness for tomorrow’s Caf Africa Champions League first round, return leg contest against Nigeria’s Lobi Stars. And while at it, the club chairman Ambrose Rachier has turned to spiritual inspiration as he prays for an aggregate win against the seasoned West African side. 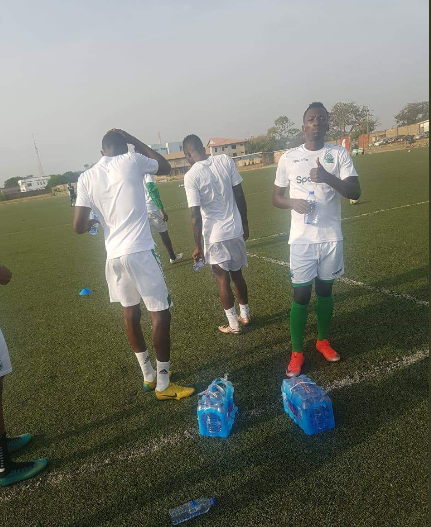 The game will kick off at 4pm local time (2pm Kenyan time) at the Nnamdi Azikiwe Stadium in Enugu, some 500km from the country’s capital Abuja. “We are in Ghana out of certain circumstances because the team missed the connecting flight from Accra to Abuja and the next available one is tomorrow (today). We have had to look for a good hotel and training ground in Accra,” explained Rachier. The Kenyan delegation is expected in Abuja on Friday afternoon, before boarding a two-hour chartered flight to Enugu. Coach Hassan Oktay and his charges won the first leg match 3-1 in Nairobi last Sunday and can thus afford a draw or even solitary goal loss in Enugu to win the match on aggregate and progress to the group stage of the continent’s premier club competition. Progressing to the group stage of this competition will attract a Sh58 million cash prize for Gor Mahia, with the tournament winner set to pocket Sh250 million. “I am confident heading into this match. It will be historic because no Kenyan team has progressed to the group stage since this tournament was rebranded. This task is like crossing the bridge to Canaan and I leave it in the hands of God because we have done everything possible to prepare the boys,” Rachier added. Oktay will rely on Rwandan hit man Jacques Tuyisenge who scored the opening goal in the reverse fixture in Nairobi to lead the attack. Midfielder Ernest Wendo will miss out through injury, but the technical team has the in-form Samuel Onyango, Humphrey Mieno, Philemon Otieno and Cercidy Okeyo as backup. Captain Harun Shakava and goalie Boniface Oluoch are also set to play prominent roles. Meanwhile Benue State Governor has approved the provision of free buses to convey Lobi Stars Football Club supporters to Enugu to cheer on the hosts. “The decision of the Governor to mobilize massive support for our team serves to boost their morale so as to enable them to overturn the 3-1 defeat suffered in Kenya,” a statement on the club’s social media pages explained. The Deputy Governor, Engineer Benson Abounu will lead the state delegation to Enugu for the match. An 18 player squad left Nairobi for Accra Ghana on Wednesday. 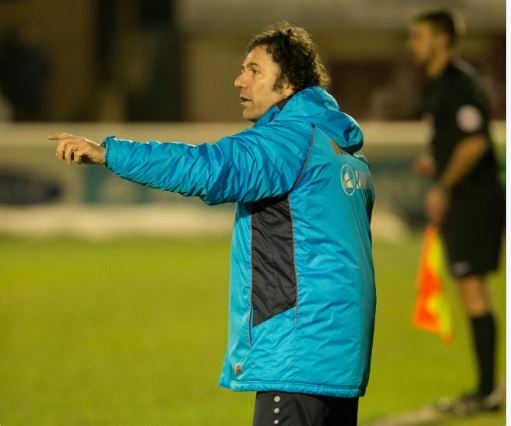 Gor Mahia coach Hassan Oktay is pleased with the effort being put forth by the players. Oktay is confident of going through but is leaving nothing to chance. “As I had said earlier, we are 90% through, but the job will be fully done after we get a result that we need to progress,” concluded Oktay. His Lobi Stars counterpart Solomon Ogbeide for his part has vowed to fix the issues that caused his sides dismal performance in Nairobi. Ogbeide wants his team to forget the Nairobi defeat and focus on the task at hand. He also said there is nothing special about Gor Mahia.